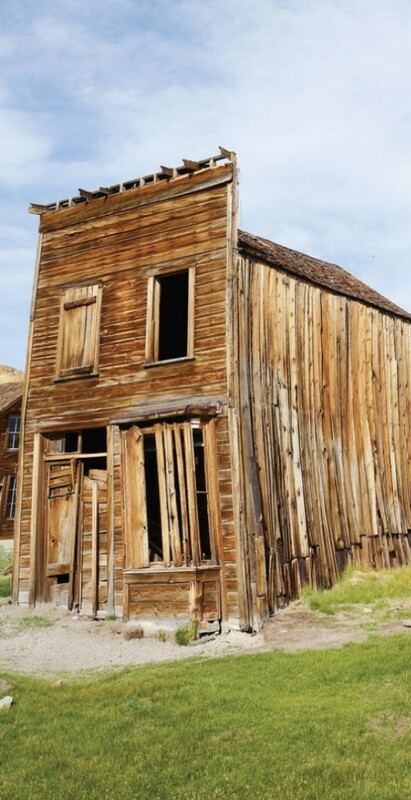 Get your spurs a janglin’ at these Old West mining and ghost towns. When staying in Scottsdale, it’s hard to deny the mining history of the sleepy surrounding desert. Well worth the two hour drive north is the town of Jerome, which supported 10,000 people through a copper mine in the 1920s. Now it’s a tribute to ghost towns of the past, hosting artists, restaurants, shops and galleries. Dine in the Asylum restaurant in the Jerome Grand Hotel, which was once a miner’s hospital, and tour Jerome State Park, located in the mansion of former mine owner James Douglas. Take a step away from the beach and visit Old Town in San Diego for a taste of history and culture of the southwest border. Twenty five restaurants, three museums, and the 1825 Casa de Estudillo, one of the finest adobe haciendas in the state await your curiosity. A rare original stagecoach is on display at the Wells Fargo museum, and if you walk through the halls of the Whaley House, you might see something paranormal- it’s known as the most haunted house in America. Bodie State Historical Park is a genuine gold mining ghost town, which transformed into a boom town in 1877 after gold was discovered. The town today is preserved as a national historic site in a state of arrested decay- interiors remain as they were left and are stocked with goods, and tours are given of the old stamp mill where gold was extracted from quartz. Enjoy the rich history of Spanish and Native American heritage at San Antonio Missions National Historic Park near San Antonio, Texas. Four distinct visitor areas dot the park, each 2-3 miles apart. These stone structures from the early 1700s provided refuge to the populace against Apache attacks and deadly diseases from Mexico. See Mission Concepcion, Mission San Jose, Mission San Juan, and Mission Espada. The visitors center at Mission San Jose exhibits authentic and replicated artifacts explaining the diverse tasks found within the Spanish missions.